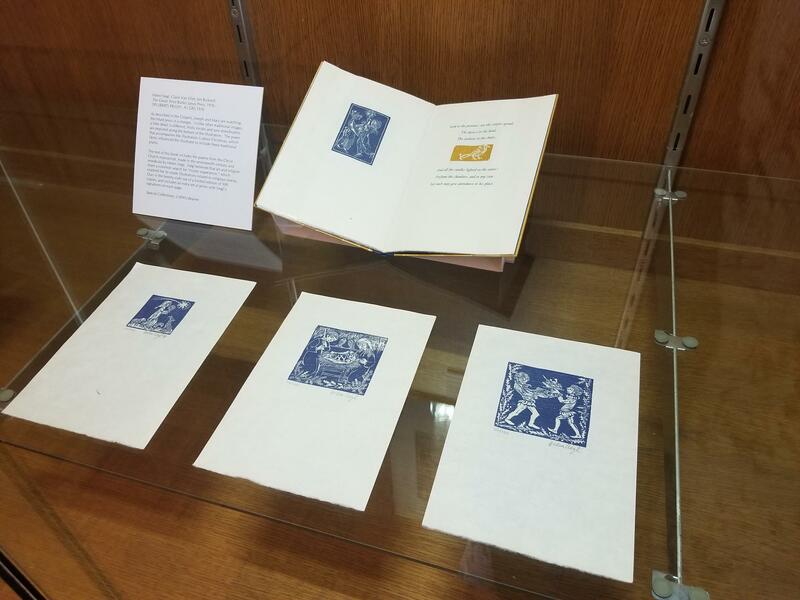 UWM Art History Graduate Student Youngchul Shin has researched and installed an exhibition on the UWM Library’s 4th Floor, entitled “Christ, Fully God and Fully Human.” Congratulations to Youngchul on this project! 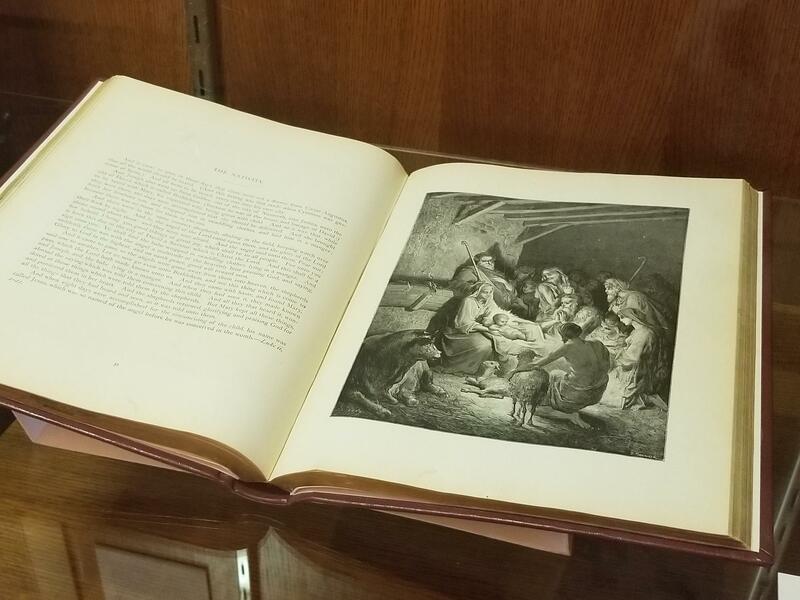 An exhibition investigating works in diverse mediums with images of Jesus, featuring the Nativity and Crucifixion as demonstrative of his humanity and divinity. On view in the Fourth Floor Exhibition Gallery of UW-Milwaukee’s Golda Meir Library from July 16 through September 14, the exhibition Christ, Fully God and Fully Human includes images of Christ from the medieval to the contemporary using materials from UWM Special Collections, Archives, and the American Geographical Society Library. 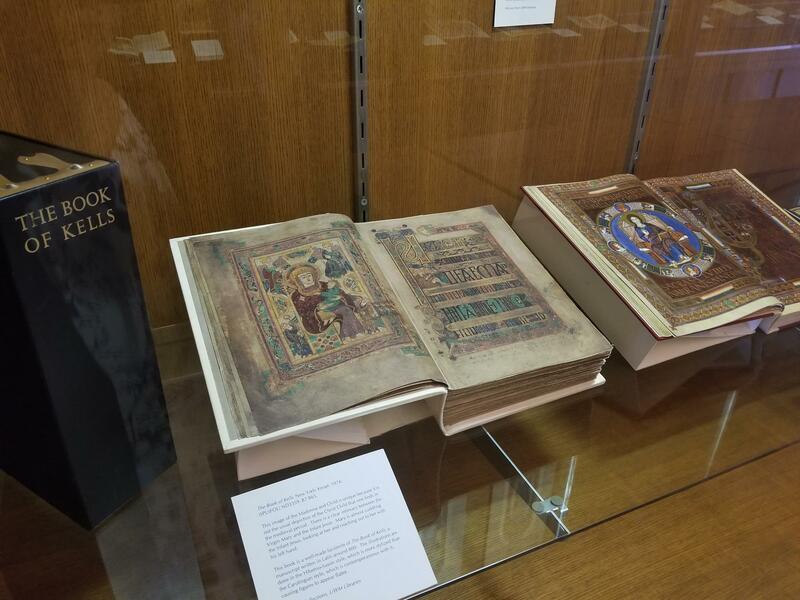 The exhibition focuses on depictions of the Nativity and Crucifixion of Jesus. The Nativity, the story of the birth of Jesus, and the Crucifixion, the story of his death, are effective narrative cycles in helping Christians understand the embodiment of his humanity and divinity. These scenes have been beloved subjects for artists and have been used as illustrations in books since early Christendom in order to supplement readers’ imaginations and help establish their faith in the veracity of the stories. The exhibition includes works from the 16th century to the present, including a state-of-the-art facsimile of the Book of Kells, books for children from the Historical Curriculum Collection, and Barry Moser’s highly-acclaimed 1999 limited-edition, two-volume Bible with hundreds of original wood engravings. Many thanks to Head of UW-Milwaukee Libraries Special Collections, Max Yela, for this information.